Muslim women make up a huge percentage of market share globally, and brands are taking notice of their purchasing habits. Like many other trends in the beauty space, “halal-certified” products have burst on the scene quickly and grabbed the attention of the influencer community and brands alike. But unlike many other trends, they seem to have genuine staying power. This is likely due to the fact that halal products serve a real, practical, unmet need in the beauty market. Practicing Muslims need products that allow them to combine their religious observance with their desire to participate in current beauty trends. This intersection is part of a much wider cultural conversation going on about the shifting definition of beauty and what that means within the context of different cultures. But for the purposes of this article, we will explore the implications it has for brands hoping to break into the Muslim market. To set the stage accurately, “halal-certified” products are manufactured within certain non-negotiable guidelines set out in Islamic law, specifically laying out what is acceptable for a practicing Muslim to consume. The certification not only applies to the products that bear the halal seal, but also the entire supply chain behind the products and each constituent ingredient within them. Simply stated, halal products must not contain any animal products or alcohol — these items are considered haram, which means “forbidden” in Arabic, the opposite of halal. Because most if not all beauty products ultimately go on or in us, a huge percentage of Muslim consumers were being largely left out of the beauty space and reduced to compromising their religious observance or left unable to express themselves in the ways they wanted. A prime example of this is the use of nail polish. Muslim women must perform Wudu before praying five times each day. Part of this process requires that water touch the surface of the nail for the ritual to be done properly and completely. It’s pretty obvious that this makes wearing nail polish a problem for Muslims. It is still early days however, there is a certain level of complexity that goes along with getting halal beauty products right. Brands hoping to serve this growing market will need to focus on the details and the unique requirements of Muslim culture, while still making products that can compete on a global level as far as creativity, quality and availability goes. There are a few practical reasons why the emergence of halal products didn’t come sooner. On the production and ingredients side of the equation there are a few main hurdles for any brand to overcome. To achieve halal certification, brands must track their products from the harvesting of the raw ingredient all the way to the placement on the shelf to ensure purity, quality and adherence to Sharia law. This can be a massive undertaking and take years to achieve. You might wonder, “Isn’t that just the same as vegan or organic products?” The short answer is “no.” While halal-certified products must indeed be cruelty-free and exclude alcohol and animal products, there are still unique requirements that prevent brands from simply slapping another label on their vegan or organic products. While many companies make vegan and organic products that occasionally meet the needs of Muslim consumers, up until just a few years ago, virtually no brands were making beauty products specifically formulated from start to finish with halal guidelines in mind. There are also significant cultural hurdles for any new brand in the space to overcome, particularly ones that aren’t founded or led by Muslims. The place where external beauty trends and religious observance converge can produce some uncomfortable conundrums. Those situations require a cultural sensitivity and understanding that doesn’t always come instinctually to non-Muslims. For any brand to be successful at this stage in the development of the halal cosmetics market, they must be authentic­­ ­— and that authenticity requires authentic Muslim voices in the creation process. I spoke to one of those voices, the founder and CEO of Amara Cosmetics to get some deeper insights on this new category of cosmetics and what it means for brands hoping to break into the market and connect with a new generation of Muslim consumers. After studying accounting and business, Shamalia Mohamed ran a successful clothing business in California. She recognized a need among her friends and customers and acted on her vision to create a brand that served the needs of Muslim consumers across the US. "When I introduced Amara Halal Cosmetics, people looked at me as if I was trying to do this to make money... out of the concept. But in actuality, halal cosmetics have opened up a new avenue for manufacturers, as well as retailers, to be able to sell more products to the growing Muslim market." Thanks to brands such as Amara Cosmetics, the first major halal- certified cosmetics manufacturer in the US, Muslim women around the globe are finding new ways to combine religious observance with participation in fashion and beauty trends. 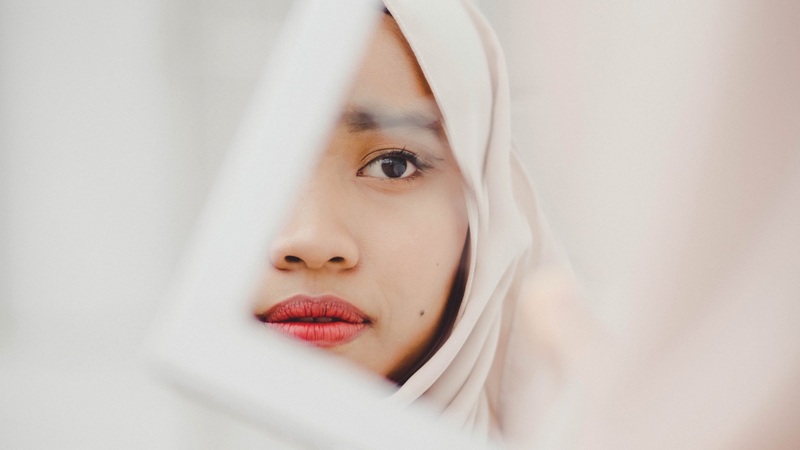 With Muslims making up more than 23% of the global population (PewResearch, 2018), the growth potential is huge, but as Shamalia rightly points out, the “halal cosmetics concept is fairly new in market,” and there are still many obstacles for the up­-and-coming brand to overcome. She emphasized the preference many young consumers have for healthier products and sees the increasing demand for organic and vegan products as complementary to her cause rather than competition. She characterizes her typical customers as “educated, young, modest and fashionable Muslim girls who are looking for products that abide with their religious value and are healthy and environmentally clean.” Millions of Muslim women fit this description and are currently enjoying halal beauty products everywhere — the evidence is in the numbers. Right now, halal beauty products make up a $16 billion market, and are predicted to grow to a $50 billion market by 2025 (Grand View Research, 2018). While the lion’s share of growth in this sector is coming from Asia, the US and UK are also major hubs for Muslims and emerging cultural trends — the market is growing every day. Right now the market is heavily influenced by Muslim makeup artists that are already recognized globally, such as, Irene Khan, Nura Afia and Laiba Zaid. Because of the trust issue, leaning on the cultural capital of influencers has been a tried-and-true method for brands making entrée into the halal beauty market. While a few major brands such as Shiseido and Estée Lauder have some halal-certified products for sale abroad, widespread, global adoption has yet to fully catch on and the industry is still dominated by niche companies. A significant opportunity remains for a major cosmetics player to bring the halal beauty section to your local pharmacy or department store. However, in the absence of halal cosmetics aisles in traditional brick and mortar shops, online shops such as Prettysuci are filling the void by creating halal cosmetics portals that feature hundreds of products. The youth market seems to be a key area of growth as a new generation of less conservative Muslims enter the market. This interest among younger Muslim audiences, even in the West, seems to be forming organically. Shamalia commented, “I believe that anything new introduced in the market will take its time to be recognized fully, and that is exactly what I have experienced. But as the awareness [has] built up among young educated people on using halal products, we [now] get daily inquiries from ladies ages 18 and up on color cosmetics and nail polishes.” To tap into this market and achieve mainstream success, brands will need to appeal to that core audience­ ­— one that is young and mildly conservative, but they will also need to “target non-Muslim customers that are looking for natural and organic products” to really achieve maximum growth.